Before this Christmas season draws to an official close (there are twelve days of Christmas, y’know), I thought it worth noting one new addition to the already-gargantuan and ever-increasing library of Christmas albums. 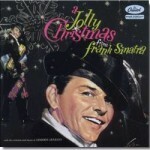 (I love great Christmas music and am known to listen to it in July.) 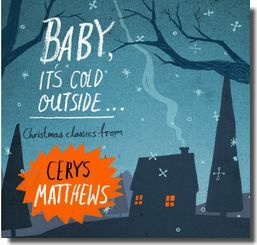 It is a record titled Baby, It’s Cold Outside by a lady singer named Cerys Matthews, who emanates from the nation of Wales. She is little known west of the Atlantic Ocean, though she’s had quite an interesting and eclectic career, leading a rock/pop band by the name of Catatonia during the nineties, later going to live and work in Nashville for a few years and producing more folky/countrified kind of work, and in more recent times recording and releasing her renditions of traditional Welsh songs (and this album features one titled “Y Darlun”). Similarly, “Go Tell It On the Mountains”—surely about as hackneyed a folk-hymn as one could name—is performed here as if it was composed yesterday, with a fairly overflowing spirit of gladness and urgency. With a title like Baby, It’s Cold Outside, one might well assume that this was a swinging Dino kind of Xmas record, but that track is very much the exception, and in more ways than one; in fact, it’s probably best to circle back to it at the end of this little review. In actuality, this is an album of traditional and predominantly religious Christmas carols, performed in a sparse, folk-like context, albeit pretty far from any idea of folk purism. 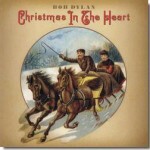 The central success of the album is in enlivening and refreshing these old tunes, like “Good King Wenceslas” and “We Three Kings Of Orient Are,” with live-in-the-studio performances that are just off-center enough to be interesting to the ear (with the odd exotic instrument thrown in), and which at the same time communicate an infectious sense of joy and mystery. Even “Jingle Bells,” which to me is probably the most annoying song to have to hear again and again during the holiday season, is performed winsomely enough here with banjo and sleigh-bells to raise a fresh smile. Similarly, “Go Tell It On the Mountains”—surely about as hackneyed a folk-hymn as one could name—is performed here as if it was composed yesterday, with a fairly overflowing spirit of gladness and urgency. That’s no small thing. A full-length example—although it’s a more modern song than most of the others—is the rendition of “Little Donkey,” which can be heard via SoundCloud below. Although this tune can be dismissed as a “children’s song” (as if children’s songs aren’t crucial both to Christmas and to the universe-at-large) I think the performance here evokes the genuine poignancy at the heart of it. It is sung and played with great love and care, as if it all really matters. (Someday we’ll find out if it does.) Coconut shells are the featured exotic instrument. Cerys Matthews’ vocal on this track is at a whisper level. 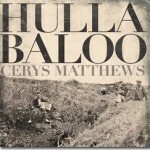 In the end, it is a Cerys Matthews album, and so her singing is the key color on the canvas. When I first heard her sing (not in the context of this album) I frankly didn’t like her style very much at all. Then, I happened across her in a different setting, and thought, well, that’s kinda something. Having now heard a lot more of what she’s done, including this current record, I would have to say that I’ve come to believe she’s a singer of quite remarkable nuance and range, although she comes across with deceptive simplicity. For one thing, she genuinely knows how to use a microphone. It was Sinatra who described the microphone as “the singer’s instrument,” and even in his day he mourned those singers who didn’t use it for all it was worth. Today, you only have to turn on one of those ubiquitous talent shows to see how many singers believe that they should basically plant the microphone on their lips and yell. And why not, when they get rewarded with huge applause for doing so? Matthews clearly understands how her use of the microphone helps manage the dynamics of the performance and the expression of the song. And when we’re talking about dynamics, the concept of restraint (or lack thereof) inevitably comes up. Matthews, as with the finest singers, seems to know as a matter of instinct and taste when and what to hold back, and when (which ought rightly to be rare) to let loose. She also seems wise about turning technical weaknesses of her voice to her advantage when it comes to emotional expressiveness. The variety of vocal tones and textures she applies just on this album are pretty impressive on their own merit. And, in the end, after all, she is Welsh; therefore a very special blessing of God is upon her vocal cords, and I think that she cannot be said in her use of them to squander that particular element. And so, back around to the title track. It was in 1999, while Matthews was still the lead singer for the rock/pop band Catatonia, that fellow Welsh citizen and pop-music legend Tom Jones connected with her to record the old Frank Loesser classic, “Baby, It’s Cold Outside,” for a new Tom Jones album and as a Christmas single in Britain. They did the complete treatment, a total throwback, with the right kind of band. No great effort for ol’ Tom Jones, a truly old-school professional vocalist, you might well say, but how did the rock & roll chick figure into it? Well, she acquitted herself with aplomb. It was a relatively minor hit in the U.K. at the time, but, as with the best of these Christmas things, it has stuck around and people remember it year by year. 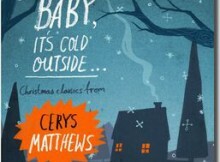 Cerys Matthews had apparently planned to build a follow-up Christmas album around it herself, but the project has waited all the way until now. What she delivered in 2012 is of a rather dramatically different spirit to that track, although it could be said that the concepts of joy and of fun are common denominators. The song has been sung by many greats over the years, but rarely if ever has it been done with the kind of chemistry that Tom and Cerys put forth, especially in their live performances, one of which is embedded below via YouTube. Matthews hams up her half of the vocal to the nth degree, but that doesn’t prevent her from bringing it all home in the end. As for the album as a whole, a record that evokes the joys and the mysteries of the true story of Christmas as charmingly as this one does deserves to be remembered for many Christmases to come. Rating: Nine and a half out of ten lead pipes.